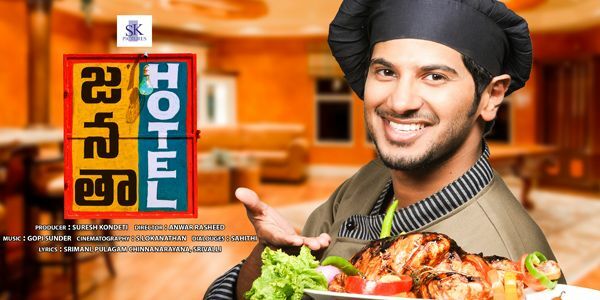 The critically-acclaimed Malayalam drama 'Ustad Hotel', directed by Anwar Rasheed, has been dubbed as 'Janatha Hotel' in Telugu. Starring Dulquer Salmaan, Thilakan and Nithya Menen, it will hit the screens on Sept 14. Written by Anjali Menon, this film was not only critically acclaimed but also romped home three National Film Awards (Best Popular Film, Best Dialogues (Anjali Menon) and a Special Mention award for Thilakan). It was originally released in 2012. The film has the trappings of a true-blue social drama. Music is by Gopi Sunder. Cinematography is by Loganathan Srinivasan.